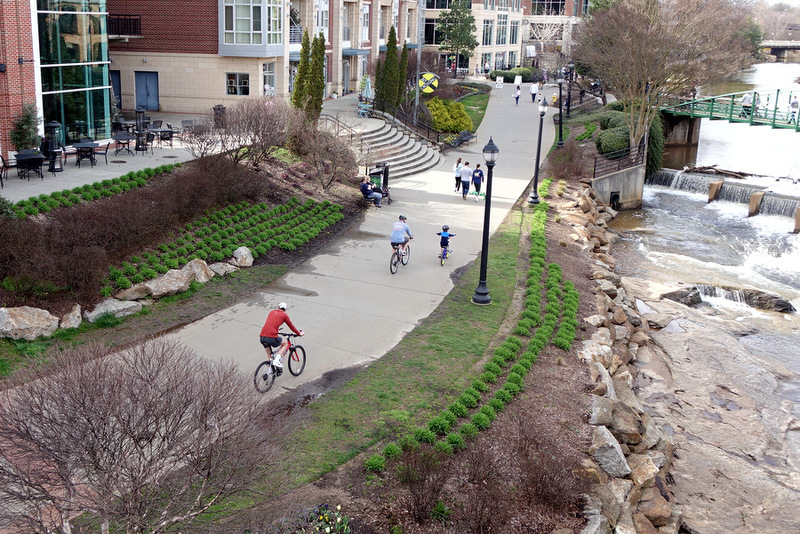 People making use of the path along the Reedy River. 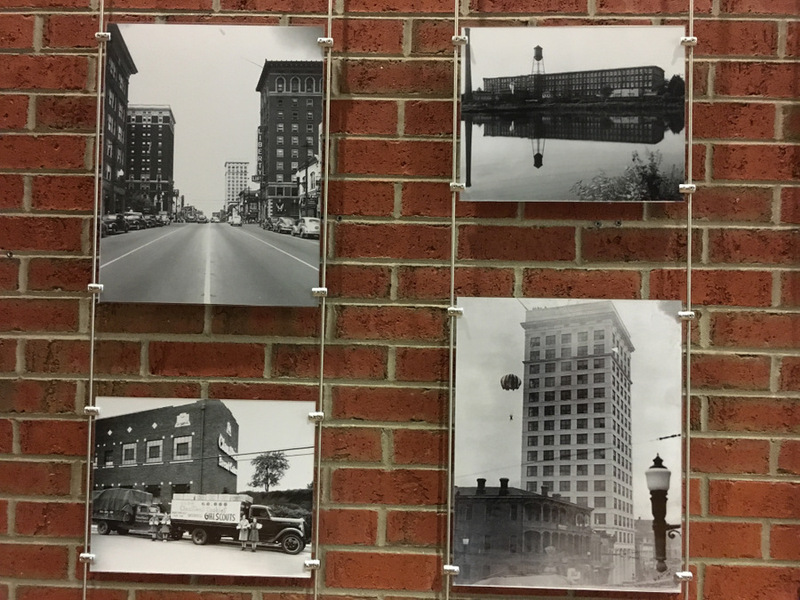 Vintage Greenville photos, shown in the eBicycle store above Halls Chophouse . 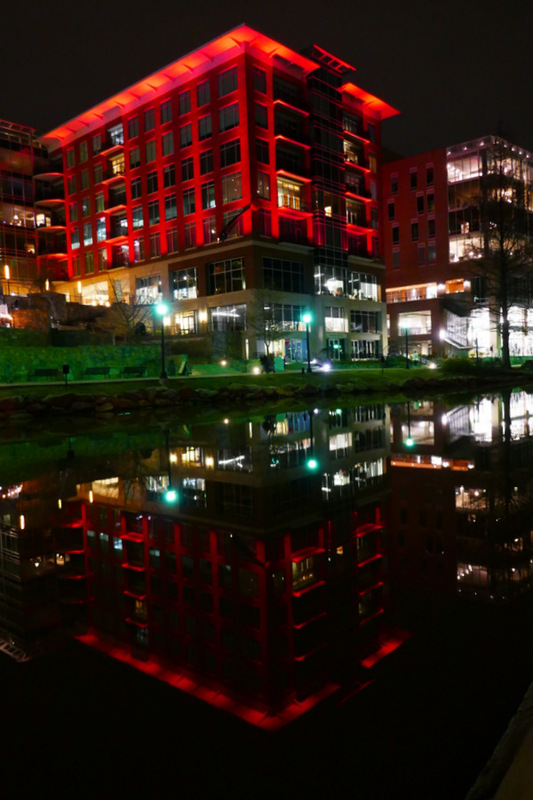 A building on River Place and its reflection in the Reedy River. 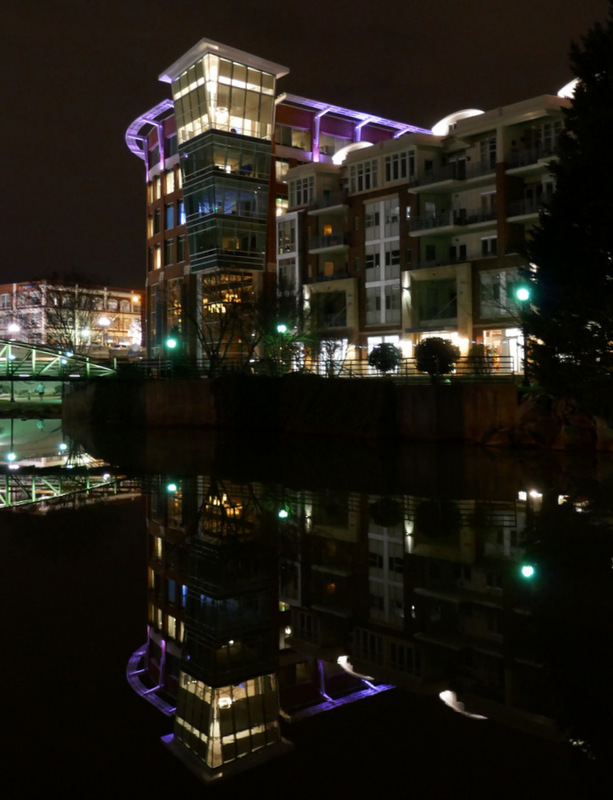 The building on River Place and Main Street reflecting on the Reedy River. 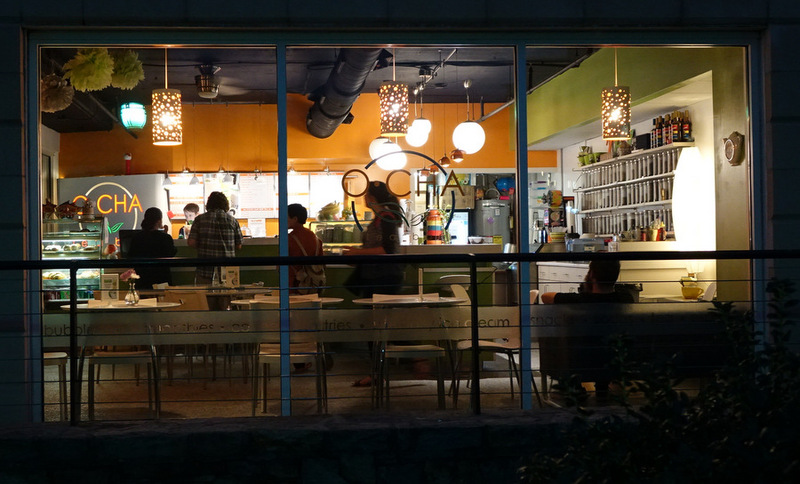 O-CHA Tea Bar at River Place. 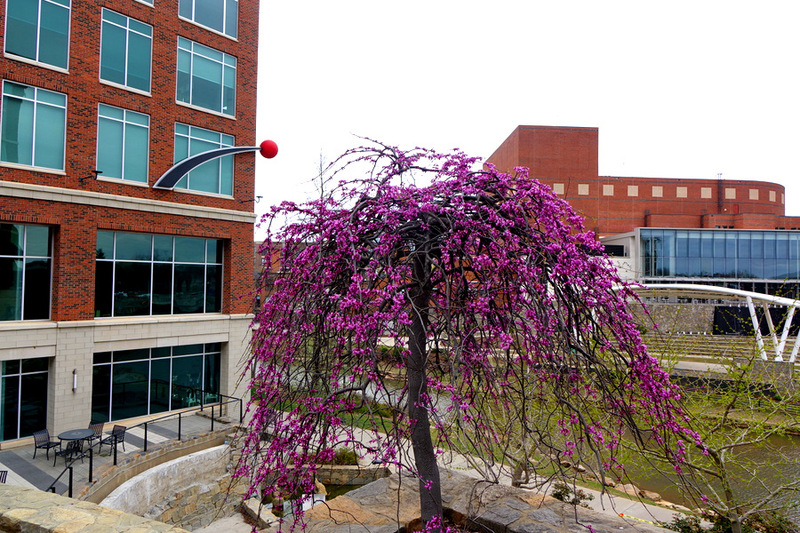 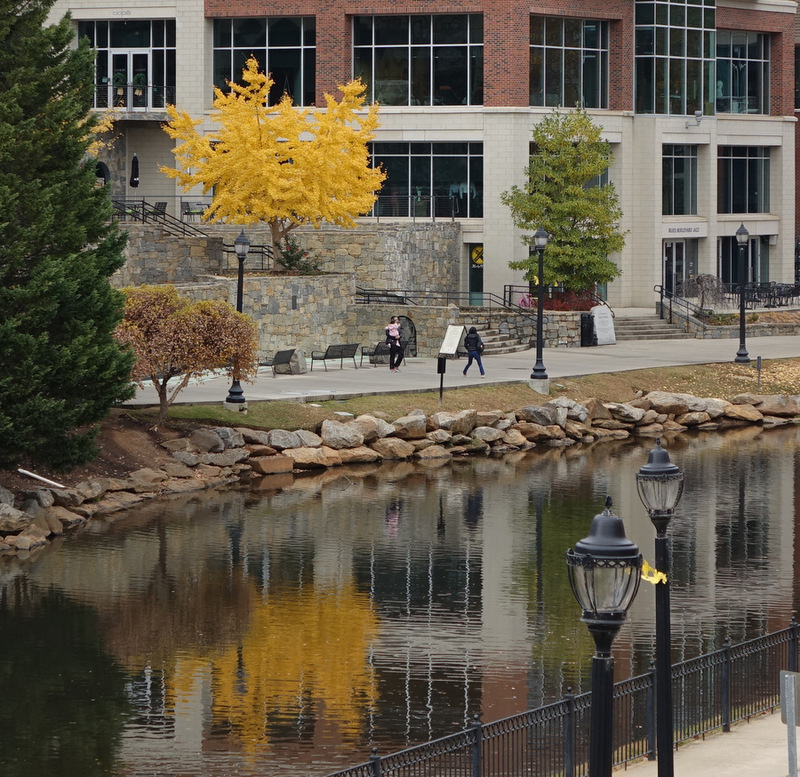 A view of River Place and the Reedy River. 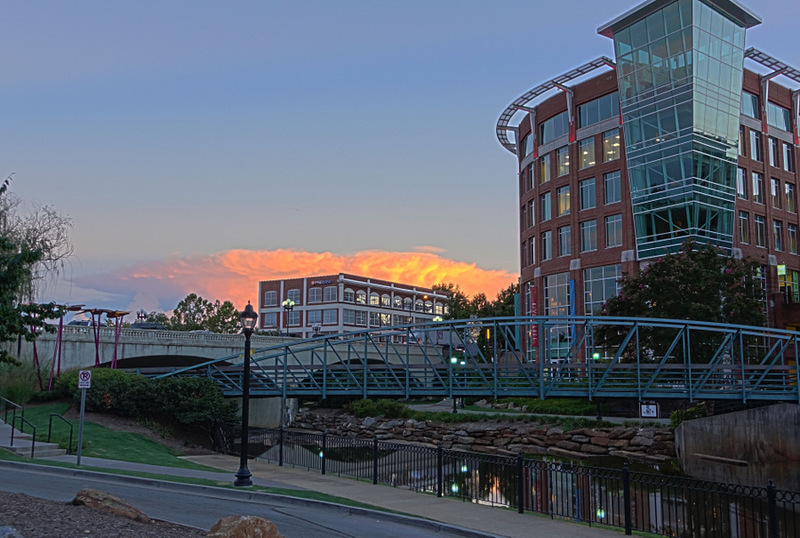 Looking over the Reedy River and River Place at sunset. 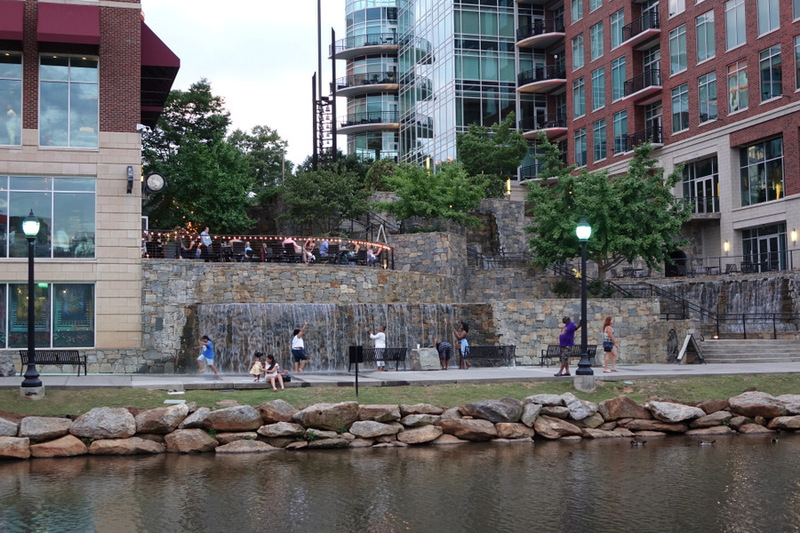 Several people frolic in the waterfall on River Place below the Lazy Goat dining patio.